The Cup Effect forms partnerships with local organisations in the countries we work in. We rely on their expertise and knowledge of the communities we serve and the relationships they already have women and girls in those communities to design the best education and cup distribution programmes possible. The partnership between The Cup Effect and Moving the Goalposts (MTG) builds on and complements MTG’s award winning work to improve the quality of life and prospects of the 7000 girls and young women they work with every year. MTG is a highly acclaimed organisation that works with thousands of women and girls across Kilifi County, which is a largely impoverished area of Kenya’s costal region. MTG works in holistic way to tackle the issues facing the women and girls of the region and nurturing and empowering them to become leaders and decision makers. The Cup Effect’s partnership with Sadili focuses on their ‘Girl Power Clubs Africa’ programme, which is a leadership scheme that trains teenage girls to become agents of positive change through sport, culture, art, and dance. The programme currently targets 3400 girls from 42 schools in Kenya. The name "Sadili" comes from a Kiswahili term, meaning “wellbeing”. Sadili Academy is an NGO and not-for-profit social enterprise that uses sports and education to empower children and youth to improve their health, reduce poverty and improve their prospects for a better future. They provide life-skill training, mentoring, coaching and facilities to more than 7,000 children annually in Kenya. The Cup Effect’s partnership with VAP is built around their Mrembo programme. “Mrembo” is the word for “beautiful” in Kiswahili, the Mrembo girls programme intends to build, unveil and restore the inner beauty of disadvantaged girls and young women aged 10-21 through a series of sports themed learning activities. “Vijani Amani Pamoja” means “Youth Peace Together” in Kiswahili. VAP’s mission is to bring about positive social and economic change in Nairobi’s slum communities by implementing programmes that use football empower young people to live healthy and productive lives. The Cup Effect and Global One work in partnership to deliver a ground-breaking project in Lamu in Kenya, which tackles menstrual taboos via a faith-based approach that incorporates teachings from The Koran and will distribute menstrual cups to 3000 married women. Global One is a UK based charity founded in October 2013 by a group of driven, passionate women who recognised that there was a need for more women to come forward as change-makers in positions of leadership in the third sector. In particular, more Muslim women, who are too often side-lined and perceived as disempowered beneficiaries rather active participants in society. 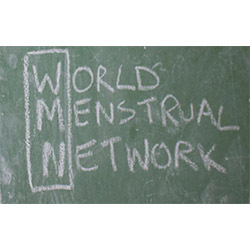 The World Menstrual Network is a global node which shares and disseminates information about menstrual projects, technology and ideas. The Cup Effect works with WoMeN in partnership with The Malawi Girl Guides Association and UK registered charity Dorcas International to encourage students, refugees and rural mothers to use menstrual cups in Malawi. The World Menstrual Network was founded by Janie Hampton who has worked as a reproductive health planner in sub-Saharan Africa, South America, The Middle East and South Pacific. She was a producer of The Medical Programme for the BBC African Service; has written several books on reproductive health; developed the first British government policy on international women's health; and is Patron of the Association of Malawians in UK. The Cup Effect work with the Malaŵi Girl Guides Association (MAGGA) to raise awareness about cups and distribute them to girls and women in a number of locations in Malaŵi including secondary schools in the country’s capital and Dzaleka Refugee camp in the Central Region. MAGGA is the national guiding association in Malawi, it is a member of the World Association of Girl Guides and Girl Scouts. 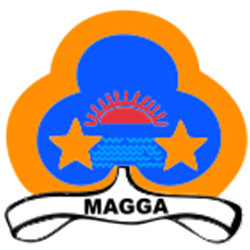 MAGGA is active in both urban and rural areas and serves girls and young women aged from six years old and upwards, membership includes girls and leaders from all sectors of society. Network Partners are organisations we formally collaborate with because they share our values and commitment to striving for a world where all women and girls, regardless of where they live or their economic status, have access to sustainable menstrual products. The Cup Effect is proud to be a member of the Global Menstrual Hygiene Day alliance, alongside more than 400 other organisations across the globe. MH Day helps to break the silence about menstruation and build awareness about the fundamental role that good menstrual hygiene management (MHM) plays in enabling women and girls to reach their full potential. MH Day is a global platform for partners across all sectors to engage in action, advocacy and knowledge-sharing around menstrual hygiene management. The MH Day Alliance includes NGOs, civil society, social businesses, research organisation, and governments working on MHM. 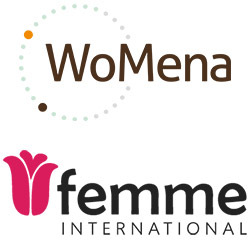 The Cup Effect, WoMena, and Femme International have a formal arrangement in place that allows the three organisations to share best practice and learn from each other enabling us to constantly evolve the way work for the benefit of people we serve. WoMena is a young, non-governmental organisation that was founded in Demark and operates in Uganda, it brings together Public Health, Anthropology, Development, and Sociology professionals who are passionate about addressing social issues in Africa related to gender, reproductive health and menstrual hygiene management. Femme International is dedicated to promoting women’s health through education. They are leaders in the field of menstrual health education in East Africa. Femme International addresses the unique health and safety needs of women and girls in developing communities. They provide females with innovative tools and knowledge to facilitate, encourage and nurture their ability to overcome gender-specific barriers. Femme International has delivered programmes that have benefited close to 10,000 women and girls to date. If you're interested in finding out more about how our partnerships work, or if you'd like to work with us, please get in touch.